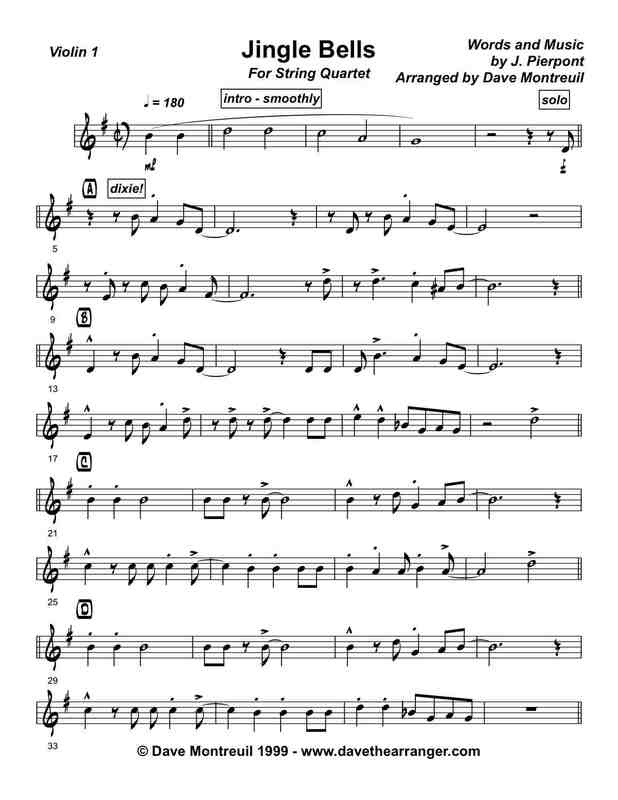 My most popular Christmas Brass arrangement is now available for String Quartet. Jingle Bells is here, and ready to swing. If I had to describe the style of this piece, the closest I could come is swinging cajun dixie. Fun for the band and even more fun for your audiences. Although I have not yet heard of a string quartet with drums, this arrangement would work well with added drums. Or perhaps just some hand clapping or feet stomping on beats 2 & 4. Right click here to download the computer playback to Jingle Bells.